Sisters and co-owners of Curvaceous Couture. Soon after getting engaged in 2006, Yukia Walker set off to find her dream wedding gown, but rather than encountering support and service, even with a generous budget, the size-14 bride with an hourglass figure unearthed disappointment and angst. “Stores didn’t have much bigger than a size 10 for me to try on and I felt like one salon even laughed at me when I asked if I could see a size 16,” says Walker, who eventually – and rather unenthusiastically – purchased her wedding dress from department store chain Filene’s Basement. An experience Walker hoped would be magical and memorable morphed into something disappointing and dreadful, but, ultimately, motivating. In 2008, with Walker’s less-than-ideal experience still reverberating in her mind alongside similar tales she had filed away from other full-figured brides, Walker phoned her younger sister, Yuneisia Harris, and directed her to listen. Harris, who had witnessed Walker’s strife firsthand as she shopped for her wedding gown, agreed. 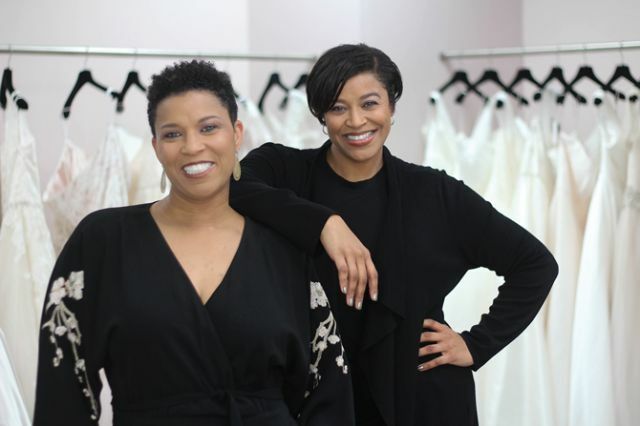 The sisterly duo assembled a business plan and launched Curvaceous Couture in 2009, which the sisters bill as the nation’s first full-service bridal salon to feature an extensive collection of designer bridal gowns in sizes 12-44 plus. 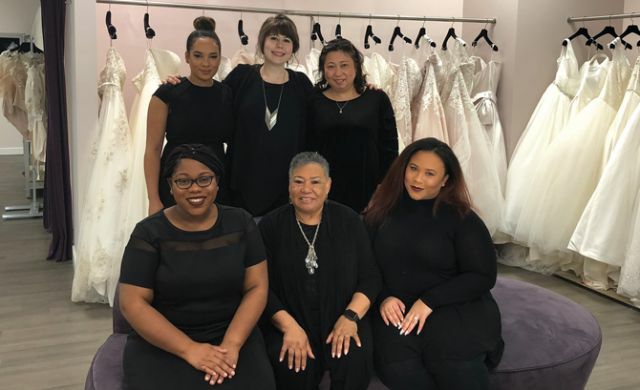 Nearly a decade later, the Columbia, Md.-based operation stands tall as a pioneer in the plus-sized bridal marketplace and, fueled by hundreds of raving fans and a show on TLC, a well-established business attending to dozens of brides each day from across the U.S. and even abroad. Months before Walker and Harris even opened their store on Columbia’s Red Branch Road, it was clear they had excited a long-underserved demographic. 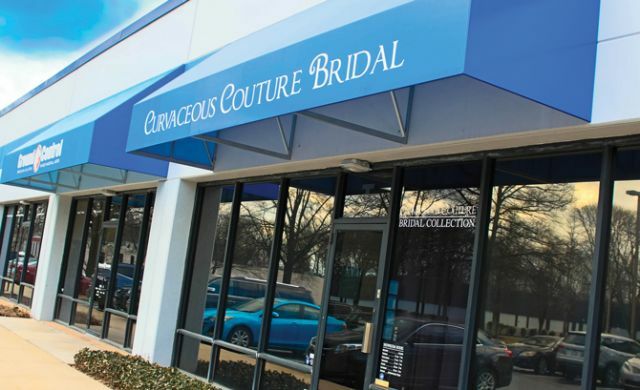 As designers listed Curvaceous Couture’s contact information on their own websites, brides immediately began calling the sisters and looking to book appointments. “The dresses hadn’t even landed yet,” Harris says. Nevertheless, the sisters invited brides to travel to their family home in Columbia, where the sisters and their parents, Alan and Diana Harris, had transformed Alan’s basement man cave into a temporary bridal boutique, removing poker tables and Baltimore Ravens paraphernalia to create a more feminine space for Walker and Harris to operate their upstart business. Harris jokes of brides walking into the home on a quiet residential street – dad waving from his riding lawn mower and mom hustling about the home – and nervously following one of the sisters into the basement. 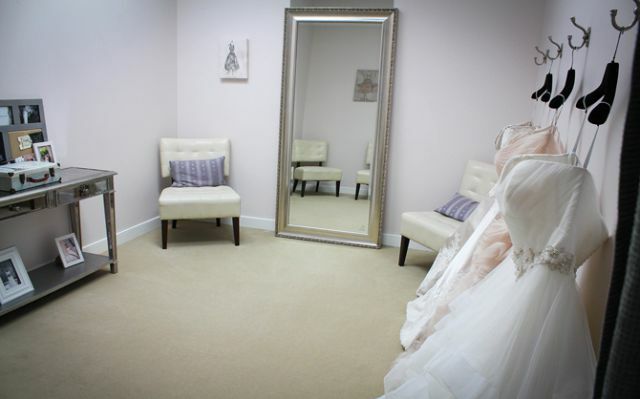 In quick time, any hesitation of visiting a basement bridal boutique gave way to genuine excitement as Walker and Harris showed an assortment of gowns and earnestly helped one bride after another find her wedding dress. “These girls could’ve care less about where we were located; they just wanted to be taken care of,” Harris says. At the end of 2009, the sisters returned the basement to their father and moved into an unassuming 5,000-square-foot strip mall location in the northeastern corner of Columbia. 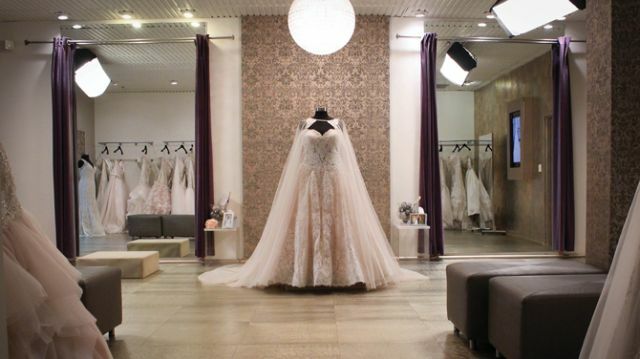 Business only accelerated as curvy brides flooded the salon day after day to view and try on couture dresses, most eager to receive expert, empathetic support from stylists and seamstresses who understood the full-figured female body. Though there was immediate demand for Curvaceous Couture’s offerings, Walker and Harris admit traveling a steep learning curve to stabilize the business and ensure its long-term health. With no previous bridal retail experience – Harris left her job in pharmaceutical sales and Walker her position as a government contractor to launch Curvaceous Couture – the sisters had to learn the ins and outs of the bridal business from servicing customers and dealing with vendors to managing inventory and staff. For a time, the store attempted to be all things to all people, carrying bridal gowns in addition to mothers, bridesmaids, flower girls and special occasion. Today, the store is overwhelmingly focused on bridal though it does maintain a carefully curated collection of mothers wear and special occasion dresses, which double as prom wear for plus-sized teenagers seeking a more couture look as well. “We saw we needed to stay in our lane and do what we do well,” Walker says. 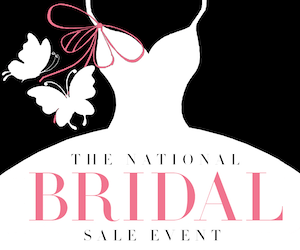 With bridal inventory, in particular, there has been trial and error and much reflection. After starting with only five bridal lines, Curvaceous Couture now has 11 bridal lines from nine designers, only one of which survives from that original set. 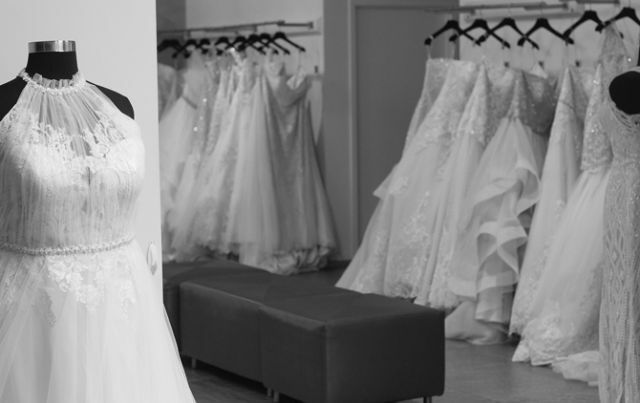 “We’ve figured out what’s worked and increased the volume of designers we feel work for our plus-sized clientele,” Harris says of the store’s bridal inventory. The sisters have also settled into specific roles, a clear division of labor that’s proven both efficient and harmonious. Harris largely handles back-of-the-house tasks such as marketing and financials, while Walker, the elder sister by three years, serves as the store’s spirited front-of-the-house leader. “Yukia’s the brainchild of this operation,” Harris admits. “She’s the one with the passion and love for what she was neglected as a bride and the one so committed to changing that for others. That universal mission and those familial bonds shine in the boutique’s customer service, which Walker refers to as “the Chick-fil-A mentality,” a nod to the customer-pleasing restaurant chain that routinely tops customer satisfaction lists. 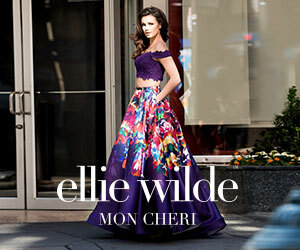 The ability of the Curvaceous Couture team to execute on that mission time and again, meanwhile, has sparked an army of word-of-mouth-ambassadors touting Curvaceous Couture and driving the store’s nearly decade-long run of growth and success. In 2015, accelerant was tossed onto an already red-hot business when TLC contacted Walker and Harris about starring in a “Say Yes to the Dress” – like show focused on full-figured women. “TLC is the bridal show network, so that’s not the type of thing you turn down,” Harris says. In late 2015, “Curvy Brides” began its 14-episode run on the popular cable network. Though elements of the show proved difficult for Harris and Walker, including maintaining privacy and sharing their 5,000-square-foot shop with cameras and a full production crew, the series provided significant marketing and branding exposure that intensified traffic and sales at Curvaceous Couture. The show’s one-season run ended in 2016. Another great byproduct of the show: a growing recognition that many of today’s plus-sized brides are not being serviced as well as they could be or should be. With today’s “average” bride a size 15, Harris says both designers and stores are recognizing the need. When the sisters first went to market, Walker recalls designers listening to Curvaceous Couture’s pitch and responding with sideways glances. Slowly, however, more designers are accommodating the plus-sized, curvy brides. “There’s still many lagging behind and it remains a battle, but it’s turning, though definitely not as fast as we’d like,” Walker says. Ambitious independent retailers, however, have been much more responsive to seize the opportunity. 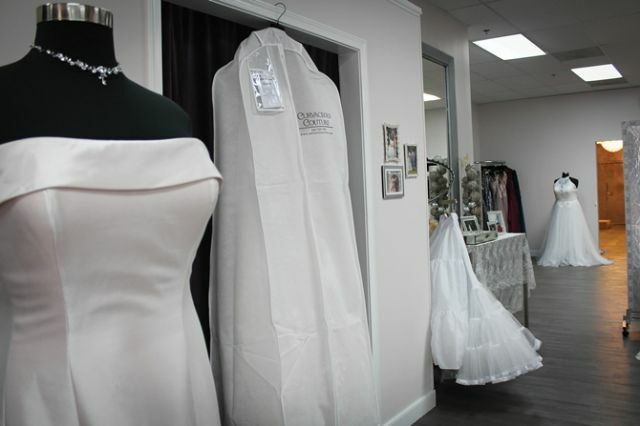 Plus-sized bridal boutiques now pepper the country, stretching from California to the East Coast. “There are some entrepreneurial folks out there, some of whom might have had a similar experience to Yukia, and they see this makes sense and that the need is there,” Harris says. For the sisters, the growth is both encouraging and inspiring, meaning that more plus-sized brides are receiving the attentive service and pleasant experience they desire and deserve. Though Harris and Walker have thus far rejected opportunities to open additional locations or franchise, they continue thawing to such ideas, well aware that, despite the gains, a strong segment of the marketplace remains hungry for the service, experience and products found at Curvaceous Couture.